Time is Running Out! Enter Today! In case you aren’t aware, I’m host in a Great Dates Contest. 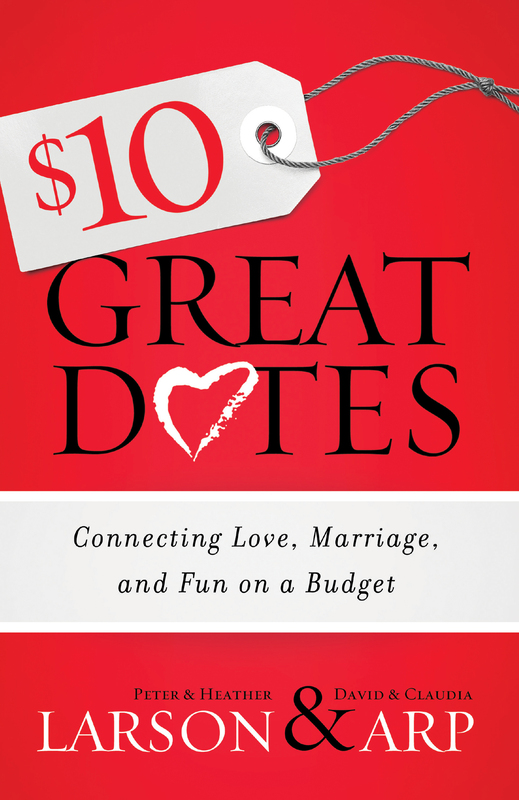 One lucky winner will receive a copy of the book $10 Great Dates as well as a crisp ten dollar bill to use on a great date of your own. You can read all about this fantastic resource for married couples, as well as the “official” rules here. But the basics are to tell me all about a great date you had, either in the comments or on your own blog (being sure to ping back to me). Entries are due by August 31st and the winner will be announced on Monday, September 1st. Go ahead … don’t be shy! Enter today! My first date with my husband was not a date but the first time we met. It involved dancing, sprinklers and a soggy breakfast at 3 a.m. at a local diner. We never had a first date but nine years later we are still together, married and have three kids. Hoping to have some time later to write about it. if I could only figure out the “ping back” thing lol. I have to submit my entry using two dates! How I met my husband Danny…. Well, I heard about Danny before I ever met him. His best friend Dimitri was dating my roommate and told me that I really needed to meet his friend Danny. Danny was a traveling musician at the time and his friend told me that he would be getting home very soon (I was living in Los Angeles at the time). One day as I got home from work, I parked my car in front of my apartment (on the street) and when I got out a guy on a motorcycle drove by. Thinking it was my roommate’s boyfriend I waved. Well, he turned around and parked. Took off his helmet and I said “You’re not Dimitiri.” And he said “There is a a God!” Well, we chatted for a few minutes realizing that we were “supposed” to meet and then he asked me out on date for the following night. He picked me up on his motorcycle after work and we drove down to the beach and walked and talked for hours. We had a great time walking along the ocean shore on a beautiful dark night. He even bought me my own helmet just for the occasion. It wasn’t until years later that he pointed out that he didn’t spend a dime on me that night! I didn’t notice. He asked me out again for the following night. Danny drove up in a very small, very square and VERY YELLOW 1978 Toyota Corolla. He politely opened my door and of course, as automatic door locks were a luxury then, I leaned over and opened his door. Then we went out to a restuaruant and he used a coupon when he paid for our meal. Well, I thought “That’s cool… he likes to be frugal”. I never thought anything of it. I remember one question that he asked me at dinner which was what type of car I would drive if I had my choice of anything. I replyed that I would like a truck with a matching horse trailer. He laughed and asked me what I was doing in Los Angeles! We had a great rest of the evening. Well there are a lot of women we call “gold diggers” in a city like Los Angeles. They are always looking for a guy with money. So without a clue I was being tested on our first two dates. I didn’t know it but Danny made a LOT of money traveling with some very popular bands and was very leary of most women. He purposly didn’t spend any money on my the first day to see if I would say anything. And on the second date to drove the worst car he owned (Instead of his 67 Convertible Camaro). He said if I had said anything about his junky car the date would have been over. If I had not leaned over to open his door it meant that I only thought of myself and of course the whole “coupon” thing speaks for itself! Anyway, we were married 11 months later so I guess the tests worked!